Two piece plastic? Those are probably from the AMT Munster Koach kit. AMT made them in (one-piece) vinyl in the larger size also, but those are hard to find because they didn't put them into very many kits. Thanks Mark, think you've got it sunshine, they are 2 piece plastic, just found an older built Munsters Koach on ebay with the same slicks on it. 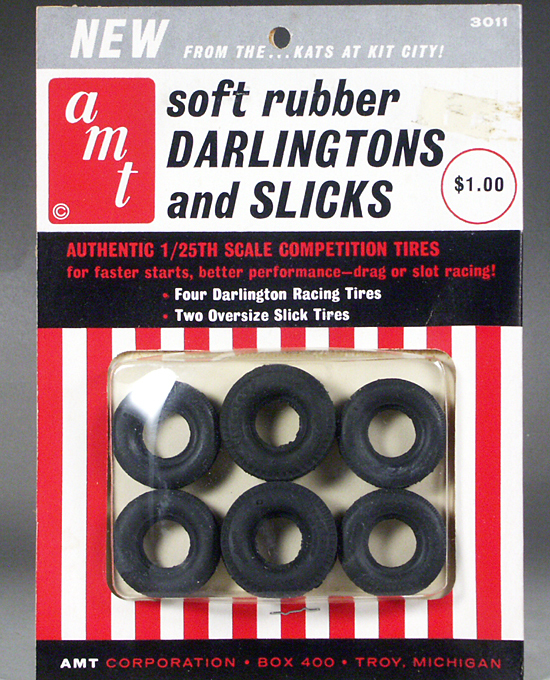 That tire design was also available in a really soft rubber for the AMT "Turnpike" slot-cars. Scenes Unlimited had a one-piece version of those, but they are sold out...I bought a set or two, and they are a quality product. Hopefully they'll offer them again. Thanks Bill, gives me another way forward. Just checked Scenes Unlimited and will drop them an email, thanks for that James. Good news! I could use a couple more, myself. Cool. 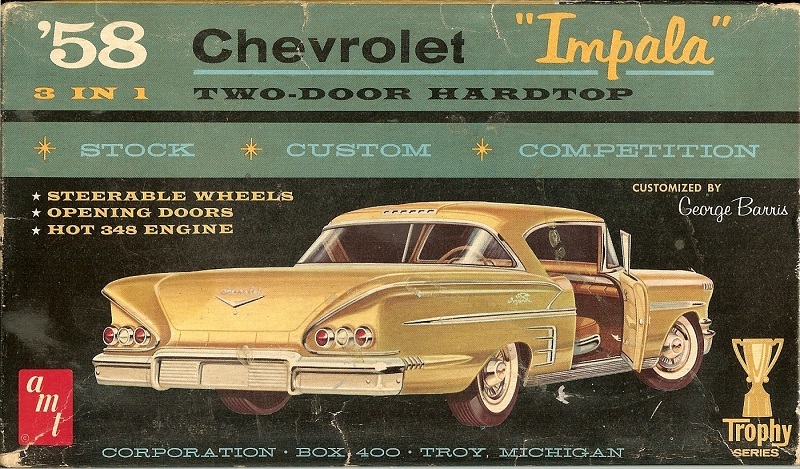 FWIW The early first issue AMT '58 Impala kits had those tires in them also. I had one "in the day".